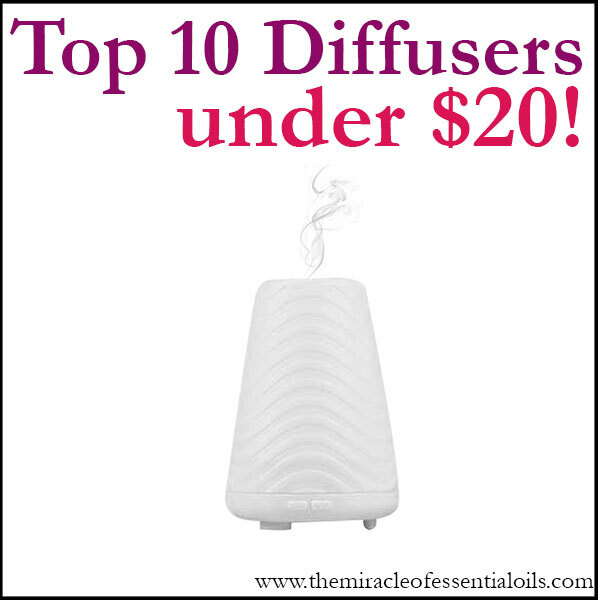 Discover the top 7 essential oils for blemishes and use them daily to get back your flawless appearance naturally! 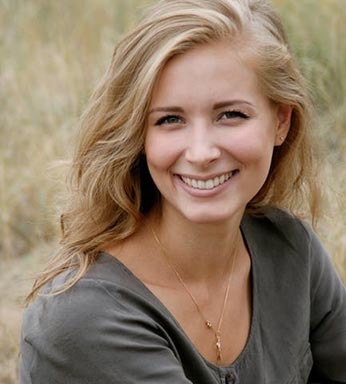 Blemishes are general skin imperfections that are mainly caused by clogged pores. They come in many different forms such as acne, age spots, uneven skin tones and even birthmarks. Blemishes can be flat or raised. Flat blemishes include uneven skin tone and acne scars. Raised blemishes include acne, whiteheads, skin tags and moles. The most common types of blemishes include spot-related blemishes such as acne, blackheads, whiteheads and acne scars. That’s what we shall be discussing in this post. Good for uneven skin tones, acne scars, dark spots and black marks. Has a skin lightening effect good for evening out skin discolorations, acne scars and dark spots. For uneven skin tone, hyperpigmentation, dark marks, and spots. Effective on moles, warts, skin tags and other raised blemishes. It can also be used for acne scars. 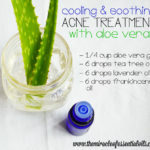 Perfect for fighting off acne in particular. Tea tree is good for unclogging pores. Balances overproduction of sebum which causes most blemishes, fights off hormonal acne, beautifies skin thereby giving it a flawless appearance. This is to be used on acne scars, dark marks and generally flat blemishes. Do not use it on acne because it is a roll-on recipe and can transfer acne bacteria to healthy areas of your skin. 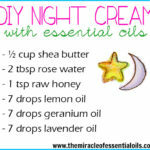 *Note: Since this recipe contains lemon oil that is photosensitive, please apply this blend only at night time. Using the roller ball remover tool, remove the stainless steel roller ball from the roller bottle. 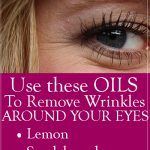 Now carefully 5 drops each of lemon, frankincense and geranium oils. Firmly push the roller ball back onto the bottle and shake well to mix everything up. Apply on flat blemishes every single night before going to bed. You will start seeing results at about 3-5 days of use. Repeat use until blemishes have faded off. Got acne? Use this simple yet very effective acne toner on your whole face after washing it, just before moisturizing. It kills bacteria, tones skin, reduces inflammation and dries up acne for faster healing. Using a small funnel, transfer ¼ cup witch hazel and ¼ cup rose water into a 4 oz spray bottle. 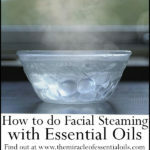 Next, carefully add 5 drops each of tea tree and lavender essential oils. Put back the spray top and shake well to combine everything. To use, spray it on your whole face, with your eyes shut. Let it dry up before moisturizing. I recommend using an all-natural moisturizer that is safe for acne prone skin: 2-3 drops of argan oil. If you have a mix of blemishes on your face like acne and acne scars, then try this blemish-busting moisturizer. I personally love it! Feel free to replace your regular moisturizer with this! Using the funnel, transfer ½ cup of argan oil into your amber glass dropper bottle. Next, carefully add all the drops of essential oils. Close the bottle and shake gently to mix everything up. Your blemish-busting moisturizer is ready! Use 2-3 drops to moisturize your whole face. 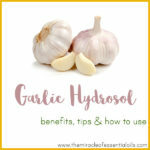 You can replace your usual moisturizer with this all natural one! This incredibly easy facial mask can be used every other day or at least twice a week to soothe inflammation, reduce redness and nourish skin cells to regenerate faster and repair blemishes. Scoop out 1 tsp of raw honey into a small mixing bowl then add 2 drops each of tea tree and lavender oil. Whip them up together using a spoon until you get a nice spreadable mixture. Spread the mixture on your clean face. Let it sit for 5-10 minutes then rinse off in warm water. Splash your face with cold water, pat dry then use a toner and moisturizer. Overnight when you’re asleep is the time your skin regenerates and repairs itself, did you know? So this is a perfect time to apply an overnight mask to assist your skin in regeneration by feeding it with nutrients. Try this overnight blemish treatment for fast cell renewal and regeneration! Place ½ cup of pure aloe vera gel in a Pyrex measuring cup. Now add all the essential oils. Whisk all ingredients to combine them properly. Pour the mixture into a clean amber glass jar. Store in a cool dry place and only use clean fingers to dip into the jar. At night time after washing your face and patting it dry, massage a suitable amount (1 tsp) of this treatment onto your face. If necessary, moisturize your face. Let the treatment work its magic overnight! Wash your face as usual in the morning. 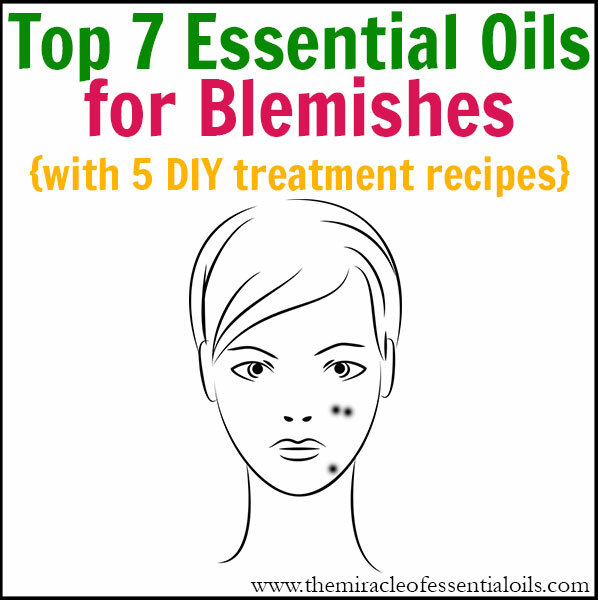 Give all or any of these essential oil recipes for blemishes a go! Come share your results! 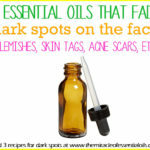 Do you have any blemish remedy with essential oils? Please share below!